Some things are so simple you can’t believe how delicious, or beautiful they are. Such is the case with spinach pie. As a caterer, I wince just a little when someone orders spinach triangles because rolling 200 little phyllo footballs can be exhausting. The truth is, making 200 of just about any food item is exhausting, and these give so much bang for your buck it turns out it’s worth it. 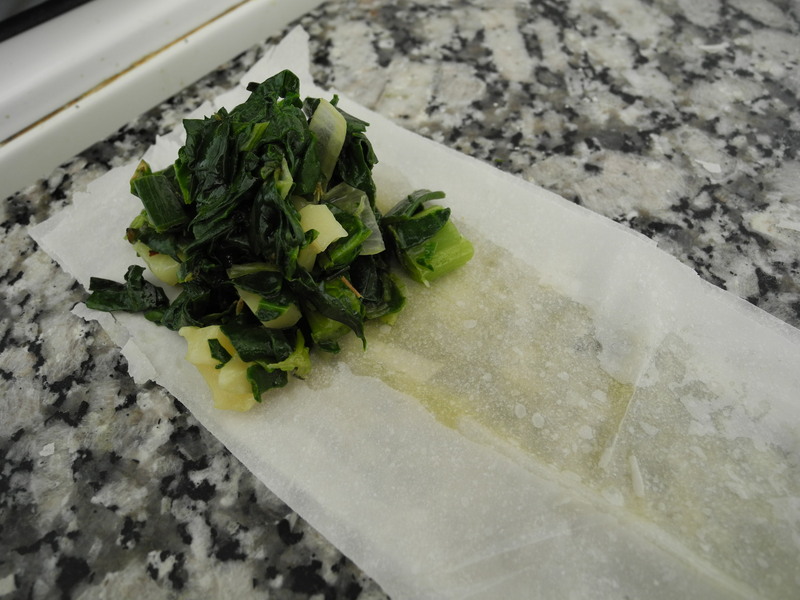 Of all the vegetables I have seen in Mendoza, the spinach is some of the darkest and heartiest. 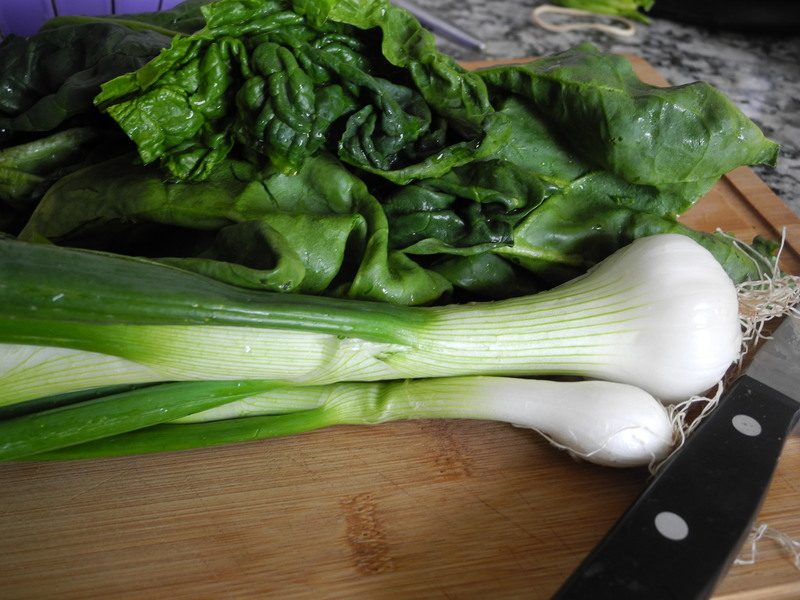 Combined with spring onions (it actually is spring here!) 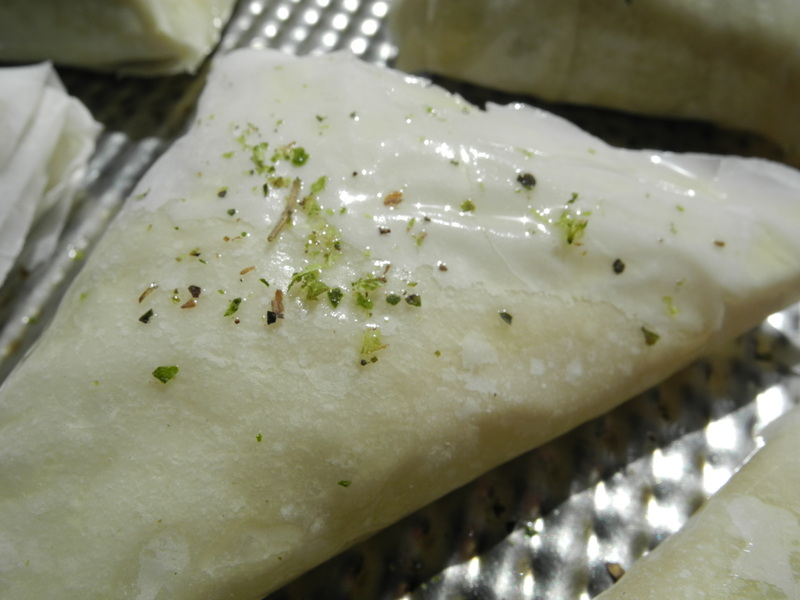 herbs and cheese, the filling is done. My vision was complete when I spotted fresh phyllo dough in my local favorite meat and cheese shop. It was folded in clear bags and refrigerated, not frozen. This sealed the deal for me, and I was off to cook. The phyllo dough was the freshest and most pliable I have ever used. The filling really is simple. 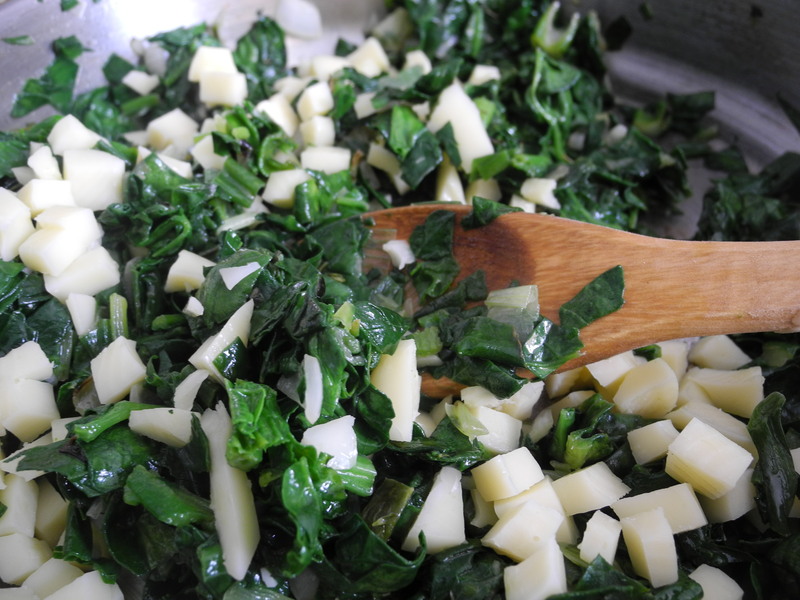 Saute onions and well chopped spinach in olive oil until wilted (about 1 minute). Add herbs-I typically use dill weed, but have yet to find that here so instead I used thyme and oregano. 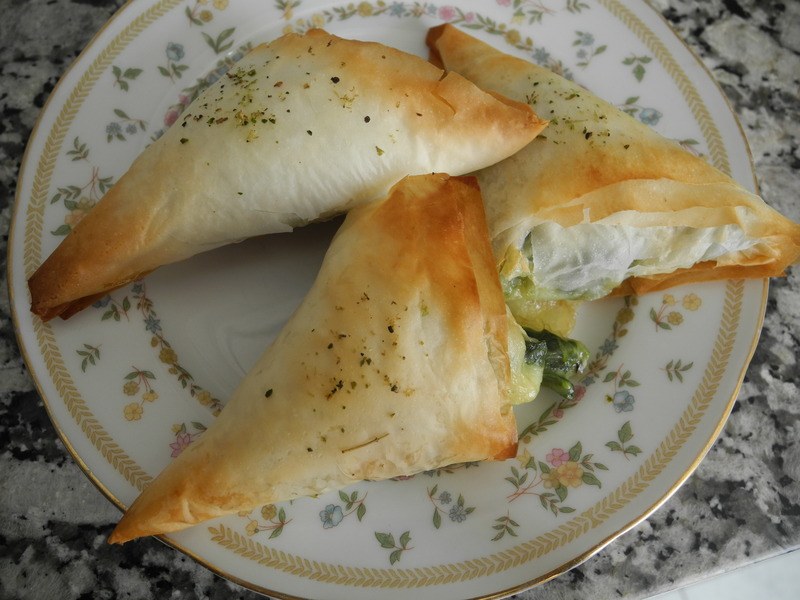 Traditional spanakopita uses eggs which bind everything together but I have found that they are unnecessary. The last step is to add the cheese which is usually a good feta but again I haven’t found a good feta yet, so I used mozzarella which turned out to be a perfect alternative. The most challenging part of the pies is working with phyllo dough. As I said, this dough was pliable and soft, so it was easy to work with. I take a whole pile of sheets and cut across to create strips about 3″ by 12″. 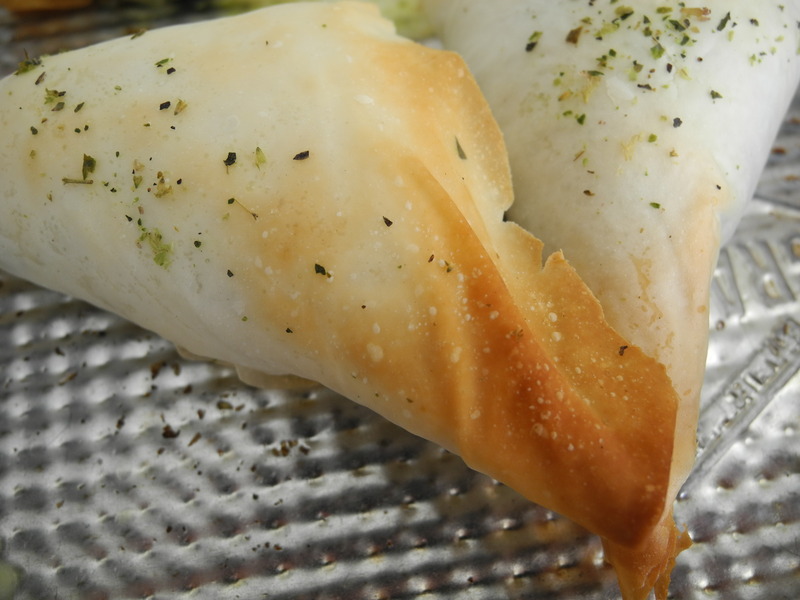 If you are using frozen phyllo, the best thing to do is to thaw it completely and then open it. When using it, you can cut a portion of the pile while keeping the rest of the dough covered with a lightly moistened cloth. 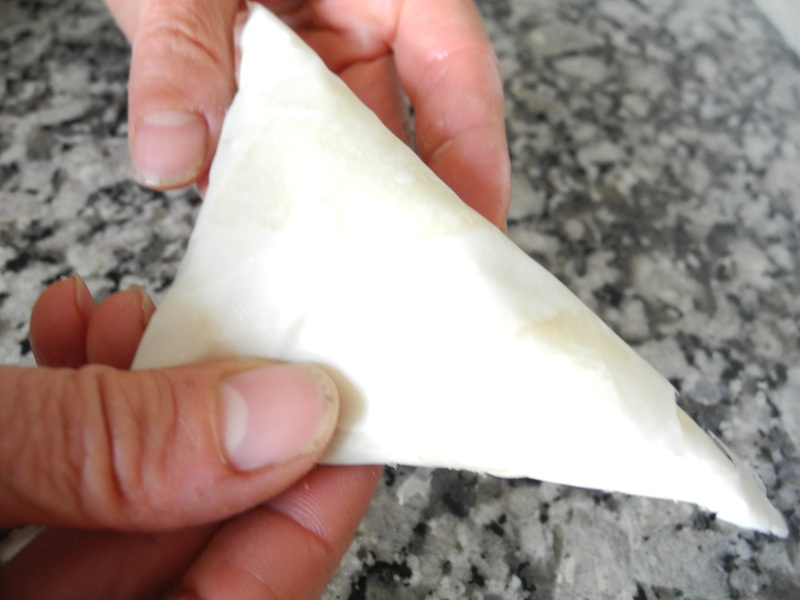 This is a delicate balance because the dough can dry out easily but if it gets too wet it will quickly become paste. 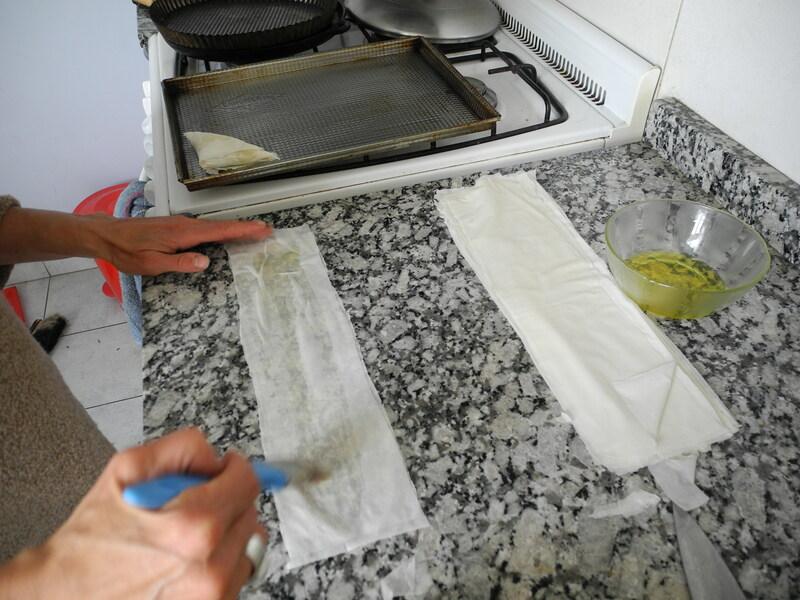 You will also want a small bowl of olive oil and a pastry brush, and a prepared, oiled baking pan. Have everything arranged before you start so you can work efficiently-in chef lingo this is “mis en place”. It means everything in place, and really does make the difference between an efficient kitchen and chaos. Finally, it is just assembly. Remember those paper footballs we used to make in gradeschool? It is the exact same concept. 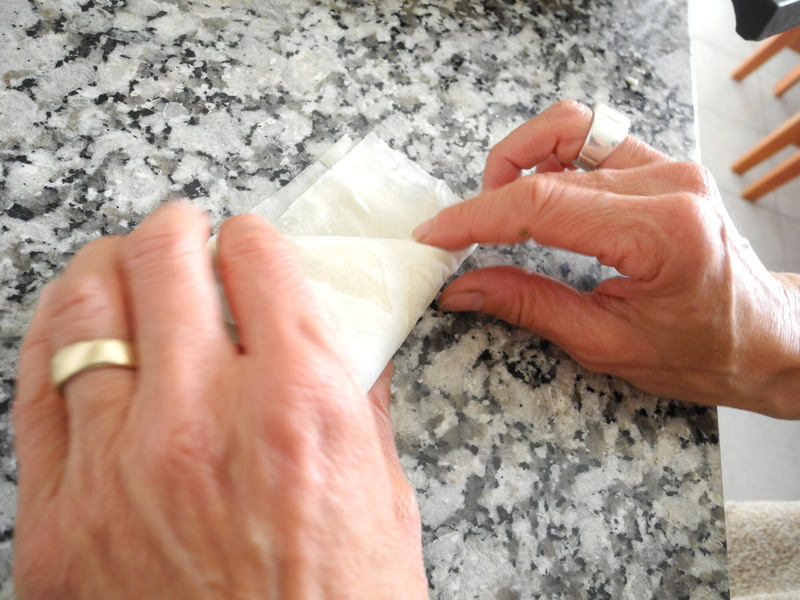 I brush and layer about three or four strips on top of one another, place a spoon full of filling on one end and fold tightly into triangles. If you don’t end exactly flush, you can fold the remaining piece over, or simply cut it off. Place on baking pan. When the pan is full, brush each triangle with olive oil, sprinkle with herbs and bake in 375 degree oven for about 15 minutes. They should be nicely and evenly browned, and slightly puffy. That’s it. As with empanadas and all other little pockets of deliciousness, it can be hard to watch all your hard work disappear in one day-and believe me, they will disappear. Keeping in mind the fact that everyone, including the kids LOVES these little treats, I am learning to let go. yum! we’re going to try it, perhaps with the kale filing my fridge. 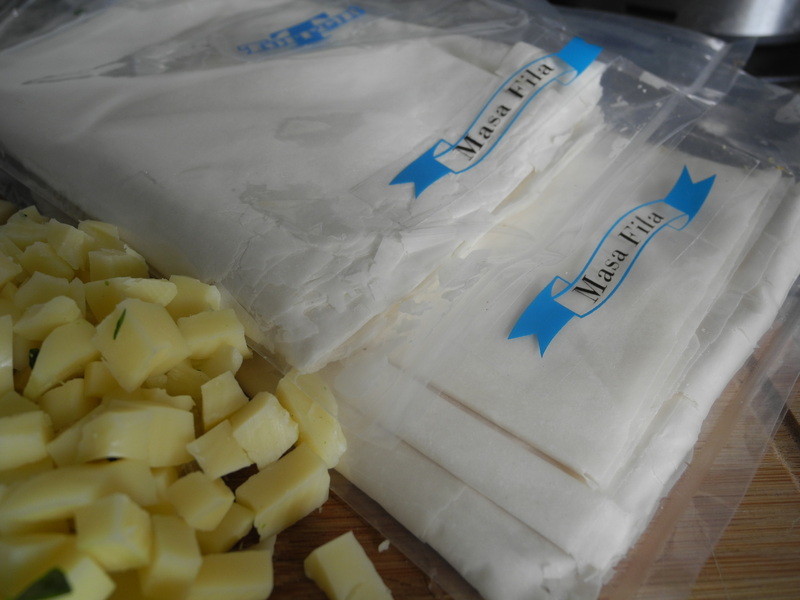 Do you have a place in town where you like to get filo dough? BTW, Priya and Anjali have been wondering if Solana and Frannie are making friends. Ask them to post something! Hope all is well in the hood and with you all.